Parents are uniquely positioned to catapult their children’s education to the highest levels. They know their children best, and they care the most. And they have an increasing array of options for their children’s schooling, with approximately 15 million students attending schools other than their assigned public schools. Yet parents often lack the know-how to make the best decisions about their children’s education and to help improve the schools their kids attend. Many are intimidated by their lack of expertise, and others who are well-informed need help communicating effectively with school staff. We need a large-scale effort to inspire and equip parents to play their central role in education. 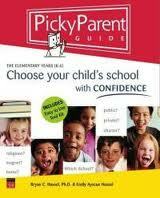 The core of our work in this area is our book, Picky Parent Guide: Choose Your Child’s School with Confidence, published by Armchair Press in 2004. Parents can buy the complete book or download chapters and tools for free. District-led, dramatic change efforts in failing schools—including turnarounds and school closures—often face strong resistance from families and communities. This 2012 report and related presentation share lessons learned about the barriers districts and communities across the country have faced in building community demand for dramatic change as well as strategies for overcoming those barriers. The report includes three vignettes about efforts to build community demand for dramatic change in Denver, Philadelphia, and Chicago schools.